If you didn’t find any new albums on iTunes or in your local music store earlier this week, it’s because beginning July 10, new music around the world is being released on Fridays. For more than 25 years, Tuesday has been the standard release day for new albums in America — a tradition Keith Caulfield, co-director of charts at Billboard, says had a lot to do with shipping in the pre-digital era. “However,” he continues, “a store a couple blocks down the road may have not got their shipment.” That store couldn’t do anything but wait until it showed up. In 1989, the recording industry settled on Tuesday as the day every retailer could start selling new releases at the same time — but that was just in the U.S. Albums came out on Mondays in the U.K. and Canada, Fridays in Australia and Germany. Recently, the industry decided it needed a global standard. “In the digital world, you can’t make consumers wait,” says Adrian Strain, head of communications for the International Federation of the Phonographic Industry (IFPI), a trade group representing over 1,300 record labels worldwide. Under the old system, Strain says, a fan in Britain could buy a new album on Monday and upload it — so her friend in Australia could listen before it came out there on Friday. The new release date isn’t just popular with industry officials. The IFPI asked consumers across eight countries when they would like to get new music. Of those who expressed an opinion, 68 percent said Friday or Saturday. Still, album sales have been declining for years. Nielsen SoundScan just released its midyear report, and total album sales are down 4 percent over the same period last year. Total album consumption was up, thanks in part to the growth in music streaming services. So, it might not seem to really matter when albums come out. 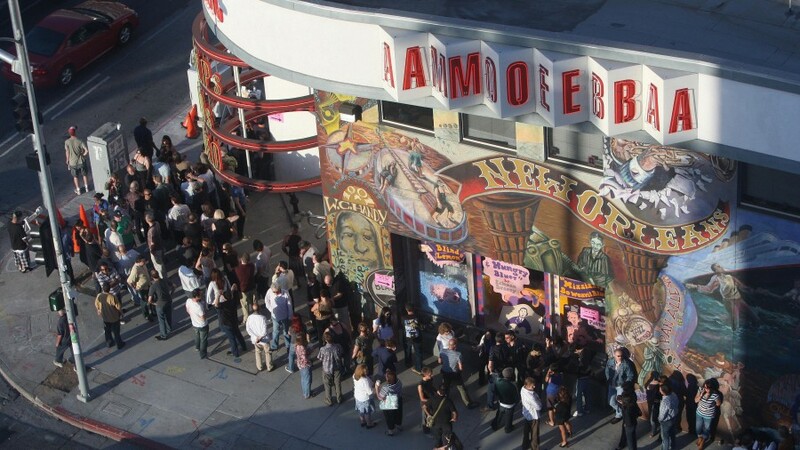 But it does to the people who still sell them, like those at Amoeba Music in Hollywood, which calls itself the world’s largest independent record store. Co-founder Marc Weinstein says he was not consulted about the new global album release day. Weinstein explains that Amoeba now has to change its ad schedule, weekend staffing and live in-store performances, which were typically held when albums came out on Tuesdays. “It gave us an opportunity to get a bump in the middle of the week when a lot of people would come in on a Tuesday, which normally wouldn’t be a busy day,” he says. With many stores already struggling to survive, “this is gonna be perceived as kind of another nail in the coffin for brick-and-mortar retail, and it’s kind of sad that no one takes any of that into account when they make these kind of fundamental changes in the way things work,” Weinstein says. Adrian Strain says not everyone will be happy with such a big change — but that the industry can only follow what it thinks the music fan wants.